The original RBZ was a great stick that was hugely popular. In conjunction with TaylorMade, CCM has been able to improve on it every year. They've continued to make a great stick better and better. The RBZ SpeedBurner composite hockey stick is the stick designed for pure shooters, looking for the hardest, most powerful shot possible. By comparison, the other sticks from CCM the Ultra Tacks, designed for places seeking the most accurate shots and the Ribcor, for great stick handlers who want to be able to load the stick easily and a really quick release. The biggest upgrade made to the RBZ SpeedBurner composite hockey stick is the introduction of CCMs new Power Hosel Technology. With past RBZ models, CCM has been forced to use a more traditional method of fusing the stick together by extending the blade up, into the shaft. Although this was the best technique at their disposal, they did not feel it was an ideal complement to their SpeedBlade Technology. So as they've done before, they looked to their counterparts at TaylorMade. They saw that with their golf drivers, TaylorMade assembled the clubs by inserting the shaft into the hosel of the club head. CCM took this idea and set out to translate it to the RBZ stick line. They redesigned the lower portion of the RBZ shaft, adding an internal rib and building it to be inserted into the blade. The addition of the internal rib and the new fusion method had direct impacts on the sticks performance, as well as some indirect effects. By inserting the shaft into the blade hosel, the energy transfer of the stick becomes much more efficient. This means that when you flex the shaft while shooting, energy travels through the stick and to the puck quicker with less energy lost. The result is a more powerful shot with a faster release in comparison to previous RBZ models. While the new internal rib also helps to support the efficiency improvements, it more importantly improves the structure and durability of the taper. The rib helps to enhance the rigidity of the lower portion of the stick, leading to more stability on big slapshots. More stability means less blade twisting and torqueing, keeping the blade more square to your target for more accurate shots. Aside from those performance features, the internal rib also helps to improve the impact strength of the lower shaft. That lower shaft area is often the target of impacts, whether it is slashed or lifted by another stick, hitting the post trying to bang home a rebound or giving some pesky little forward a good whack to the shin pads out in front of the net. Improving the impact strength doesn't mean the stick is unbreakable, but it makes it a bit tougher and helps the RBZ SpeedBurner composite hockey stick to continue performing like it did the day you got it for a longer period, even after its been slashed a few times. Even though they added some material with the rib and extended shaft from the new Power Hosel, CCM was still able to reduce the overall weight of the SpeedBurner by 5 grams compared to last years SuperFast. I know what youre thinking, 5 grams So what? It might not seem like much, but look at it this way the lightest 30 (yes, THIRTY) sticks in the game right now are separated by a total of 40 grams. On top of that, the 4th lightest and 30th lightest sticks are only 22 grams different in weight. Long story short When talking about top end hockey sticks, 5 grams is a significant weight reduction. There are two big that the RBZ line has come to be known for, the flex profile and the unique blade construction. Although CCM has consistently updated and improved those two features, theyve been able to do so without alienating the players who love the stick by changing the feel and performance that won them over. The SpeedBurner is designed for players seeking the hardest shot possible and will still feature CCMs Custom Kick Point or Constant Stiffness Profile. This means the stick is going to flex from wherever your lower hand is. This gives you great performance on all types of shots and its what makes the RBZ line such a popular all-around shooting stick. The SpeedBurner maximizes the energy loaded into big slap shots and optimize the amount of energy loaded into quicker snap and wrist shots, giving you the most possible power on both types of shots. Since the RBZ SpeedBurner composite hockey stick reacts to the placement of the bottom hand during a shot, it will feel easier to load, giving the feeling of more power coming out than you put in. Since the stick is equally stiff through the entire shaft, it has an extremely smooth load and release when shooting. 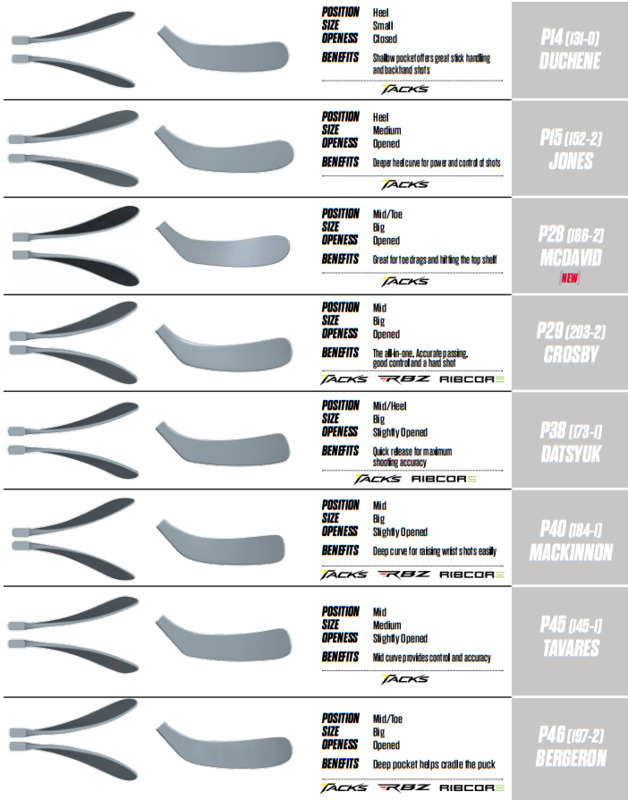 The RBZs unique blade construction has always been a stable of the line. The goal as always has been to maximize the blades Coefficient of Restitution (C.O.R) or trampoline effect, to make the puck jump off the blade on shots. Unlike other blades on the market, which are filled with various types of foam, the RBZ line is hollow; creating what CCM calls the Speed Pocket. Like past RBZs, the SpeedBurner blade takes many cues from golf drivers in the way it is designed, tested and how it performs. With SpeedBurner, CCM wanted to maximize C.O.R., and increase the size of the sweet spot of the blade. A bigger sweet spot allows for the same feeling of the puck jumping off that hot blade face, even when you dont contact the puck exactly where you want to on the blade. Due to the introduction of the Power Hosel and the new way the stick is assembled, CCM was able to reexamine, rework and optimize the Speed Pocket blade to realize these goals. The new RBZ SpeedBurner will have a few features continuing forward from past models that have been slightly tweaked, as well as some continuing forward as they were. Since its introduction, the RBZ line has always had a focus on optimizing the swing weight of the stick and SpeedBurner has the lowest swing weight for the RBZ lines to date. Swing weight is predicated on the distribution of the weight throughout the stick. The swing weight of a stick basically does two main things; it influences how light or balanced the stick feels and helps shooters to maximize the speed of their swing on slapshots. The lowered swing weight of the RBZ SpeedBurner will help shooters to gain more speed on their downswing and generate more power on shots. Like the past RBZ sticks, the SpeedBurner will feature CCMs T-Geometry shaft. T-Geometry is a squared shaft allowing for better control when shooting. The square corners help to prevent the shaft from spinning in your hands when shooting, helping to increase accuracy.